James Naughtie considers Nobel Prize-winning scientist Robert Edwards who, with colleague Dr Patrick Steptoe, was the pioneer of in vitro fertilisation. The New Elizabethans: Robert Edwards. To mark the Diamond Jubilee, James Naughtie examines the lives and impact of the men and women who have given the second Elizabethan age its character. 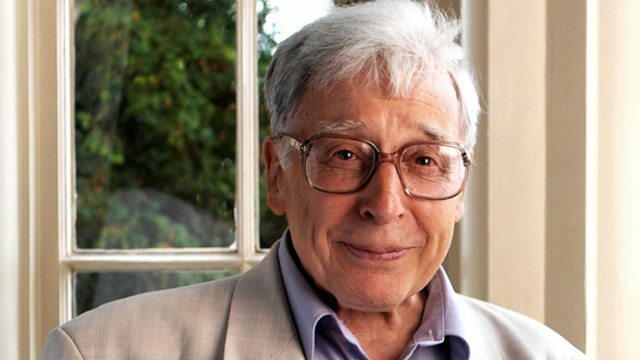 Scientist Robert Edwards who won the Nobel Prize in 2010, was the pioneer of In Vitro Fertilisation alongside his colleague Dr Patrick Steptoe. The pair came to world wide fame in July 1978, after the birth of Louise Brown, who would always be known - memorably, though inaccurately - as the first test tube baby. Today, around the world, the number of people who would never have been born without the IVF treatment developed by Edwards and Steptoe is around 5 million. The New Elizabethans have been chosen by a panel of leading historians, chaired by Lord (Tony) Hall, Chief Executive of London's Royal Opera House. The panellists were Dominic Sandbrook, Bamber Gascoigne, Sally Alexander, Jonathan Agar, Maria Misra and Sir Max Hastings. They were asked to choose: "Men and women whose actions during the reign of Elizabeth II have had a significant impact on lives in these islands and/or given the age its character, for better or worse."